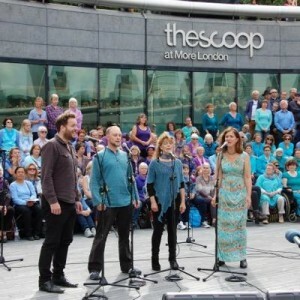 A four piece group who sing traditional folk songs in gorgeous harmony. The group comprises of Sally Davies, Vivien Ellis, Dom Stitchbury and Michael Carlyon. 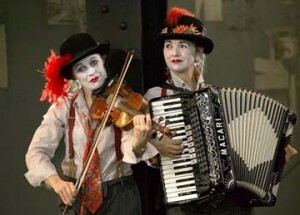 A stunningly versatile violin, horn and accordion duo. They play and sing their own compelling arrangements of Klezmer, Balkan and Gypsy music with occasional sorties to savour the musical traditions of other countries. 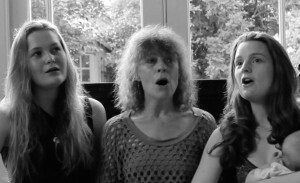 A family vocal trio with close, intense, expressive harmonies. They sing songs with roots in Trad English, Serbian, Latino and Georgian music.